We offer individual lessons and intensive courses to suit you. Book a block of 10 hours at times and days to suit you or do 10, 20 or 30hours in 1week? You could combine this with theory lessons with an instructor to help and guide you through the Multiple choice and Hazard Perception with a theory test booked at the end of it. 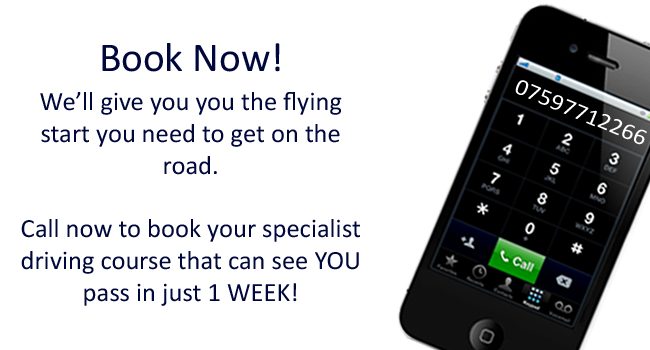 Then go on to take your practical test which we can book for you at an an earlier date! Offer is for pupils with no Driving Experience and only between the hours of 7am till 12 Mon-Fri for automatic cars. Offer is for pupils with no Driving Experience and only between the hours of 7am till 12. Mon-Fri for manual cars.